Over 17,000 idyllic islands, Indonesia is a land of legends and fire-breathing volcanoes, where living dragons roam. With most days averaging 28 degrees Celsius, Indonesia can be visited throughout the year. The West is generally best visited between May and September. The East (including Papua, Raja Ampant and Moluccas) is best visited between November and March. 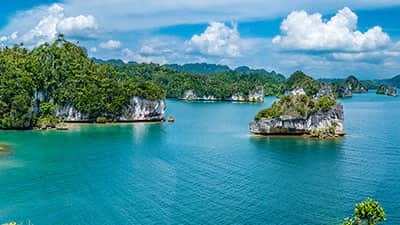 With over 17,000 islands, only 800 of which are inhabited and roughly 300 spoken languages across them, Indonesia offers something unique to everyone. From the postcard-worthy beaches and pristine coral reefs, to the smouldering volcanoes and traditional villages, Indonesia is a wildly diverse land of adventure and intrigue. Relax in Bali, the most popular of Indonesia’s islands. 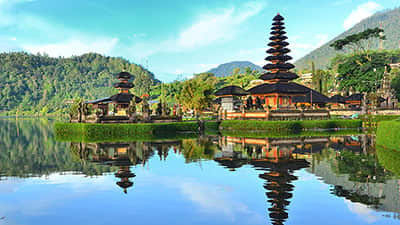 Learn Balinese dancing or discover the rice paddy fields in Ubud, visit Pura Besakih the Mother Temple or soak in the sacred Banjar hot springs with friendly locals. The most eastern island of the Indonesian archipelago, Raja Ampat or “Four Kings” is comprised of over 1500 small islands and cays surrounding the four main islands. The world’s ultimate experience for underwater adventures and a scuba diver’s dream, Raja Ampat is home to 540 types of coral, and over 1,000 types of exotic coral fish. 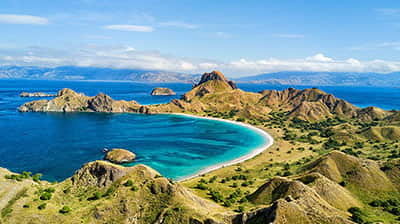 See real life dragons at Komodo Island, the only place on earth to see the world’s largest lizard in the wild. These beasts can grow up to 8.5ft long, weigh up to 200lb and run an impressive 12mph. Just off the coast of Lombok, the beautiful Gili Islands are made up of three small islands and are a wonderful destination for snorkelling and scuba diving, or to just relax and soak up the sun! With even better beaches, seafood and less crows than Bali, the Gilis are a true sense of island paradise.